Crucially, All Party Groups, as the name suggests, are cross party. I am one of the co-chairs alongside my Labour colleague Julie Elliott, the MP for Sunderland Central, and Conservatives John Stevenson, MP for Carlisle, and Kevin Hollinrake, MP for Thirsk and Malton. Whatever our political and geographic differences, we share a recognition of the economic importance of the Northern Powerhouse and how investment in its infrastructure and people could transform lives from coast to coast. As well as MPs, I am delighted that a number of council leaders from across local authorities in the North will serve as Vice Chairs, alongside influential Peers Lord O’Neill, Lord Heseltine and Lord Haskin, and that two of the North’s Metro Mayors, Steve Rotheram from Liverpool City Region and Ben Houchen from Tees Valley, will be Associate Vice Chairs. All of this makes it imperative for other parts of the North, notably Yorkshire, Cumbria and Lancashire, to agree devolution deals with government. The benefits could be huge, and I see the APPG as being a key vehicle for ensuring further devolution for the North. The Northern Powerhouse aims to build on the prime capabilities of the North: Advanced Manufacturing, Energy, Health Innovation and Digital. The APPG will examine these issues in depth. 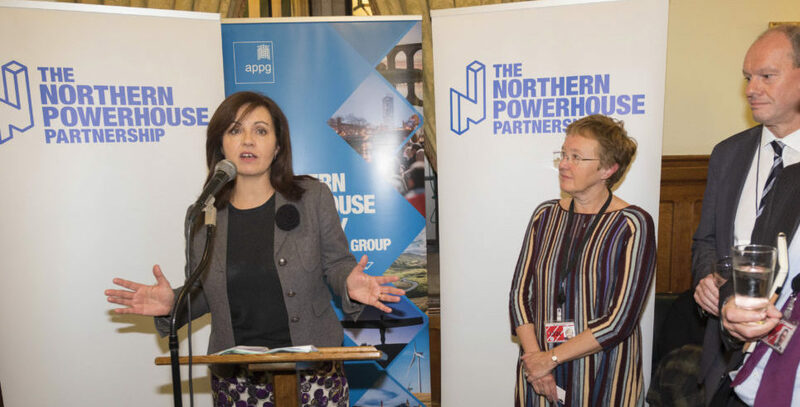 It will also focus on the barriers to success, particularly the need to raise educational standards and narrow the skills gap, which were evidenced in the Northern Powerhouse Partnership’s recent Educating the North report, as well as work to improve rail, road and air connectivity and increase productivity. The Northern Powerhouse Education and Skills Conference was held in Leeds in February, where leaders from both sectors came together to discuss boosting education and skills across all life stages. In early 2018 the APPG will support the Campaign for Northern Powerhouse Rail, launching in late February. I want the widest possible coalition in support of rebalancing the UK economic and making sure the case for the Northern Powerhouse. This requires robust and effective advocacy, across the North and in Westminster. With a strong case to make, I believe the new Northern Powerhouse APPG can make a difference. This article was originally published in the Local Government Chronicle on 28th November 2017.